Home | Luxury Rehab | Is Gender Specific Rehab More Effective? Is Gender Specific Rehab More Effective? Treatment for addiction can come in many different forms as facilities are often tailored to suit certain needs. People may have specific problems that they need to address and there are a myriad of options to provide people with what they require to achieve recovery. Among the different options available there are rehabs that cater specific genders to create a certain environment that may feel more safe and comfortable for patients. Gender-specific treatment may not always be the right choice for recovery, but in certain cases it can be beneficial for people with special issues. One thing to understand about addiction is that it can affect men and women in different ways. Because men and women often have unique experiences when it comes to substance abuse, treatment focusing on one gender can help address gender-specific problems. There are definite advantages to gender-specific rehabs especially for patients who feel that they would be more at ease around people of the same gender. These types of rehabs are also more sensitive to the needs of women or men and know how to provide them with the support necessary for recovery. Gender specific treatment centers can give people the opportunity to recover in a way that helps them feel more personally cared for than a general facility. The main advantage to enrolling in a gender-specific rehab is that it offers more personalized treatment based on the type of issues that each gender faces. There may be unique problems that men and women face that do not necessarily coincide with one another. For example women may have to deal with problems like domestic violence, abuse and economic issues while men may have other challenges such as issues with aggression or reluctance to deal with their emotions. Men and women also have different issues with relapse and may experience unique circumstances that can lead to a relapse. Men tend to relapse more frequently than women and they often feel positive feelings of control before a relapse while women have more negative feelings leading to a relapse. These are important distinctions that a gender specific treatment center will be able to address. Cultural roles can also influence how men and women experience addiction differently. Men may have been taught that expressing their emotions or difficulties in life shows weakness. As a result they may have more problems becoming vulnerable or talking about their issues in treatment. Women may feel that it is less socially acceptable for them to drink or have an addiction. They may experience more shame and have learned how to be adept at hiding their behavior. They may have had issues of sexual abuse or other traumas that contributed to the development of their addiction. In a gender specific environment, patients may feel more comfortable talking about their experiences and opening up with people of the same gender. Women may find it easier to discuss problems like sexual assault, domestic abuse or their role as mothers and caregivers and how those things affected their addiction. Men may feel more at ease discussing their feelings among other men without fear of being judged or appearing weak. Overall, gender specific rehabs make recovery more focused on personal issues that are unique to gender. There are also less distractions that may make patients feel more self-conscious or less inclined to speak about certain topics. Patients can avoid issues with romance or dating if these are problems that may interfere with their recovery. People with addictions may feel more confident discussing issues in their relationships that may be closely related to their addictions. The reasons women become involved in drugs initially are often linked to the relationships to men in their lives. Men may also wish to discuss problems in their marriage or relationships that could have contributed to their addiction. About 70 percent of women who abuse drugs have experienced some type of sexual abuse in their childhood. 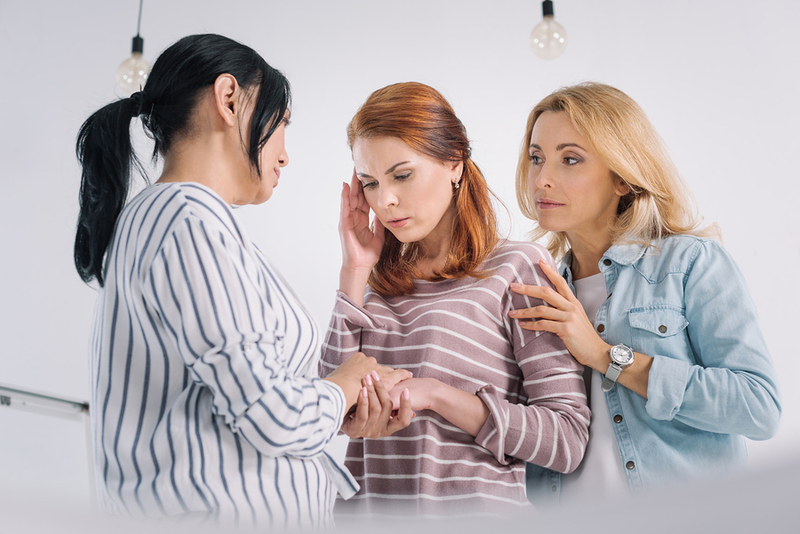 Women may feel more safe discussing these deeply traumatic stories with other women who may have experienced the same thing and can understand their pain. These are deeply personal issues that patients need to feel comfortable enough to discuss with others. The ultimate goal of recovery is to build confidence in your ability to remain sober as you cope with underlying issues that caused your addiction. For some people, gender specific rehab is the right choice for them because of their unique issues that have influenced their substance abuse. It may not be the right option for everyone but in certain cases it can be more effective for those that are looking for a safe space. If you or someone you love is struggling with an addiction you can find gender specific recovery centers that will help provide treatment.